An associate of mine at HOPE International forwarded me this video from PovertyCure. It is incredibly informative and well-made and I think it will help you better understand the multifaceted problem of poverty and the best ways to respond to a world in need. “Poverty Cure is an international network of organizations and individuals seeking to ground our common battle against global poverty in a proper understanding of the human person and society, and to encourage solutions that foster opportunity and unleash the entrepreneurial spirit that already fills the developing world. We know there is no single solution to poverty, and good people will disagree about methods, but we have joined together to rethink poverty, to move beyond top-down plans, and to promote entrepreneurial solutions to poverty informed by sound economics, local knowledge, the lessons of history and, most important, the Judeo-Christian tradition. Christ calls us to solidarity with the poor, but this means more than assistance. It means seeing the poor not as objects or experiments, but as partners and brothers and sisters, as fellow creatures made in the image of God with the capacity to solve problems and create new wealth for themselves and their families. At a practical level, it means integrating them into our networks of exchange and productivity. This entry was posted in HOPE International, Organizations and tagged Economic Development, PovertyCure on January 25, 2011 by Aaron. After my lead in with the “I’m neighbors with the President” I usually struggle with where I should go next, so when someone told me recently that there was a monster that lived at the bottom of Lake Atitlan, I thought this would be a perfect topic to adopt into my small talk repertoire. There are many legends in the small Mayan community near where I’ve been studying Spanish, and my favorite is now the Monster of the Lake. Some people believe that there’s an enormous dinosaur-like reptile that inhabits the lake, much like the Loch Ness Monster that supposedly lives in Loch Ness Scotland. But people don’t like to talk about it. Not because I’m a gringo, it’s because some people believe that the more you talk about it, the more energy you give to the monster, and the more likely it will be to strike again. Strike again? Has it struck before? Apparently, it has. It’s gotten the blame for many injuries and casualties that have occurred in the Lake. But then again, it depends on who you talk to. After I asked the 2nd and 3rd person about the Monster of Lake Atitlan, I realized that I possessed three different stories or interpretations from this legend, and my new “go to small talk topic” was borne. The monster lives in an underground cave. The monster has been seen by over 300 people. There is an underground network of tunnels that it travels in. It’s just a legend, gringo. It’s not true, but no one knows for sure . . . There used to be a town at the bottom of the lake. Satellites cannot map the terrain of the lake, so it’s impossible to know. When the water came, it destroyed the town, and the people. The monster ate the people. So this year for Halloween, when I was considering what costume I was going to do, the answer was obvious. 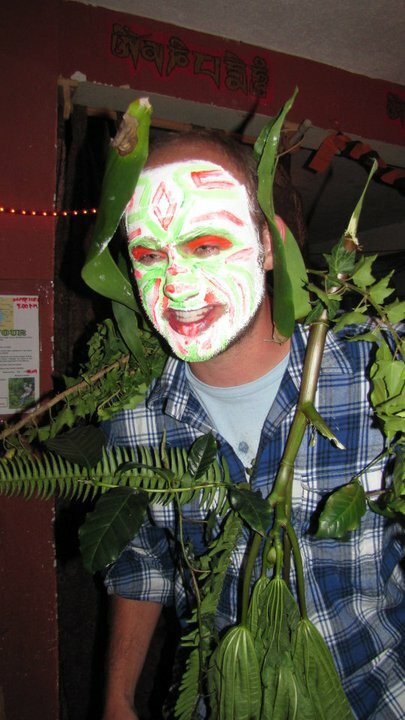 Yes, everyone knew who I was at the party, and they wondered where I got the greenery for the costume. I responded that I got most of it on the walk to the party, from various trees, bushes, and branches and my real aim was to look like I just emerged from the lake. A lot of people wanted to take pictures of me, and I was able to collect a few more stories about the Lake Monster for the road home. This entry was posted in San Pedro La Laguna, That's Odd on January 17, 2011 by Aaron. 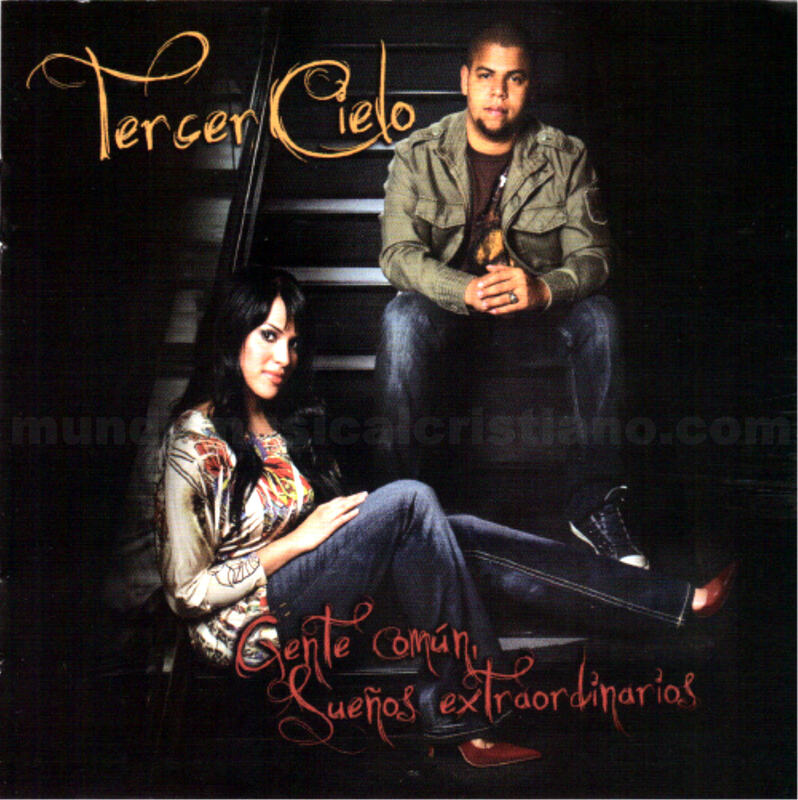 Tercer Cielo is a talented music group from the Dominican Republic and lately I’ve been learning to play and sing one of their songs on my guitar. “My Last Day” has a beautiful melody and message, and has some amazing harmonies throughout. I’ve translated the song into an English interpretation below the video. As you know, direct translation never captures the same meaning, so I’ve taken liberties to make it sound like we would say it in English. The Spanish lyrics appear below that section. Que hermosa. And show those close to me how much I love them. Living without fear and treasuring every minute. I’m not going to wait until tomorrow because all I have is the present. To show you that I love you and that I am fully content that I have you. And if your joy depended on me, I would give everything I can to you to make this day the best day in our life. Because in the times of difficulty and stress of this life, we miss the details we later wish we could remember. And then regret that we’ve forgotten these experiences, and mourn that we cannot recreate them. And make this day the best day in our life. and I’ll make this day the best of my life. ¿Cuantas palabras en Ingles conoces? Una comunidad para aprender Ingles y diez otras lenguas. Y cada minuto, vivirlo intenso. Y voy a hacerte este día el mejor que pueda vivir. Y voy a hacer este día el mejor que pueda vivir. This entry was posted in Beauty, Dominican Republic, Santo Domingo on January 6, 2011 by Aaron. I'm 32 from Richmond, VA. Currently living in Lima, Peru.